Originally from Olive Branch, Bradley graduated from The University of Mississippi in May 2005. After completing his undergraduate work, Bradley began working with the Ole Miss Student Union (formerly the Department of Campus Programming) in June of 2005. He completed his master’s degree in higher education-student personnel in May 2010. He is currently pursuing his Doctor of Education at Ole Miss.. Bradley has been director of the Ole Miss Student Union since July 2011. Bradley also serves as the Executive Director of the Miss University Scholarship Pageant in which he has worked closely with over the past 13 years. When not working, he enjoys spending time with family and friends and being outdoors. He and his wife Ashley have one son, Thomas, and three dogs. Jordain Lang is from Jackson, MS. Prior to joining the Ole Miss family, she received a Bachelor of Arts in journalism and minor in higher education administration from the University of Southern Mississippi in May 2017. She is currently pursuing a Master of Arts in higher education/student personnel. She brings experience stemming from her various roles in new student and retention programs, student involvement, and campus recreation. Ryan is from Tyrone, GA, and recently completed his undergraduate studies at the University of Mississippi. He earned a bachelor of arts in Biochemistry and a minor in Biology. He is currently pursuing a Master of Arts in higher education/student personnel at the University. During his time as an undergraduate at the university, Ryan was very involved with campus including a Student ambassador and Orientation Leader for two years. Ryan enjoys watching Jeopardy and participates in as many intramural sports as he can. Pam Smith was born in Honolulu, Hawaii. 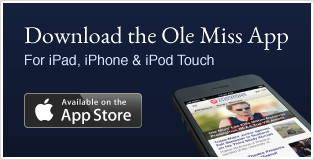 She has lived in Oxford since 1985 and has been with the University of Mississippi since 2006. Pam worked in the UM Box Office and recently moved to the Ole Miss Student Union office, processing reservations for the campus. She was a business owner of LaNelle’s Bridal and Classic Formalwear. Her diverse background in travel and focus on people have led her to a number of leadership roles and opportunities. She enjoys spending time with family, friends and animals, and her hobbies include painting and shopping.